Designed with durability in mind. Our doors are constructed with fusion-welded frames for strength and security. Custom-sized to fit the exact dimensions of your door openings. Designed to open and shut smoothly for maximum convenience. 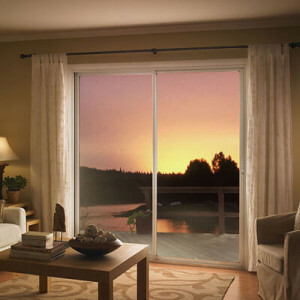 Made by Ply Gem, an industry leader in patio doors. Not only do we supply superb glass doors, we also provide expert installation services as well. By choosing Green Machine, you’ll be partnering with a company that specializes in quality and efficiency. We will get the job done right every time and never cut any corners. We also pride ourselves on our unrivaled customer service and we stand behind every one of our glass doors with a lifetime warranty, giving you powerful peace of mind. For more information about how Green Machine can install sliding glass doors for your home in Jacksonville, FL, contact us today.